StarPort Resorts have released more details about the planned Port St George marina and waterfront destination on Long Island. View images of the proposed project here. Dionisio D’Aguilar, Minister of Tourism and Aviation, attended the 45th Annual Sun ’n Fun International Fly-In and Expo, taking place this week in Lakeland, Florida. The Caribbean Hotel and Tourism Association is hosting its annual flagship Marketplace conference at Baha Mar in The Bahamas January 21-23, 2020. Watch a ZNS News report on the launch of the event here. The 7th Annual Arbitration and Investment Summit will be held January 25, 2019 at The Baha Mar Convention Centre. Minister of Education Jeffrey Lloyd will join the speaker line-up at the Second Annual Grand Bahama Technology Summit, set to take place November 14-16 at the Grand Lucayan. Deputy Prime Minister and Minister of Finance Peter Turnquest brought remarks at the Caribbean Association of Banks' 45th Annual General Meeting and Conference, October 31, 2018. Read/download his address here. Minister of Financial Services, Trade and Industry and Immigration Brent Symonette and Attorney General Carl Bethel took part in the Association of International Bank & Trust Companies in The Bahamas' Financial Services Boot Camp held on the sidelines of the Nassau Conference at the Baha Mar Convention Centre last week. Minister of State for Grand Bahama Kwasi Thompson launched the 2nd annual Grand Bahama Tech Summit last week, noting that the focus of the event will be on showcasing education programmes and future developments. Caribbean Tourism Organization (CTO) board of directors gathered, October 2, in the lead up to opening ceremonies for 2018 State of Tourism Industry Conference at Atlantis Paradise Island being held this week. Prime Minister Dr Hubert Minnis left for New York yesterday to address the United Nations High Level Political Forum on Sustainable Development. Deputy Prime Minister and Minister of Finance Peter Turnquest attended the 7th Annual Consultation Meetings with Caribbean Governors of the Inter-American Development Bank and participated in a panel discussion led by Sir Richard Branson. Caribbean Community leaders discussed a number of topical issues ranging from disaster management, mitigation and recovery to mandatory evacuations for regional citizens during natural disasters during the two days of the 29th Inter-Sessional Meeting of the Conference of Heads of Government of the Caribbean Community that ended yesterday. Officials of the government and Oban Energies February 19 signed the heads of agreement for a $4 billion project planned for East Grand Bahama. The 20th Grand Bahama Business Outlook (GBBO), set for February 22, 2018, will bring together public and private sector experts who will share key elements for the revitalization of the Grand Bahama economy, ranging from energy to technology solutions. Deputy Prime Minister and Minister of Finance Peter Turnquest addressed the General Conference of Ministers of the Caribbean Telecommunications Union yesterday. Read his remarks here. Fintech is changing all aspects of the financial services industry and it is vital that The Bahamas stays ahead of the curve. This was one of the key messages from this week's Nassau Conference which saw the sector come together to discuss strategies for future growth. Delivering the keynote address at the Official Opening Ceremony of the Department of Local Government’s Leadership Training Conference earlier in the week, Prime Minister Dr Hubert Minnis said the government has a responsibility to ensure that the Family Islands are platforms for development by investing in infrastructure and other public amenities. Minister of Financial Services Brent Symonette will be the keynote speaker at the 12th edition of The Nassau Conference scheduled for October 4, 2017 at Baha Mar under the theme 'Business Unusual’. During his Budget Communication 2017/2018 presented in the House of Assembly this week, Deputy Prime Minister and Minister of Finance Peter Turnquest said that the government's priority is to get the nation's fiscal house in order. During Caribbean Week 2017 to be held in New York next month, the Caribbean Tourism Organization will single out industry leaders for special accolades, in addition to the presentation of media awards, during its annual Caribbean Tourism Industry Awards Luncheon. Baha Mar president Graeme Davis officially opened the $3.5bn megaresort this morning and said several hundred rooms are already filled. Nearly 700 visitors have descended on Nassau for the fifth annual Pure Silk Bahamas LPGA Classic. The tournament takes place January 26- 29 with free admission and parking. The Bahamas will sign six new air service contracts this week. This, according to Minister of Transport and Aviation Glenys Hanna-Martin, will open new windows for the country’s aviation industry. Financial services industry leaders met this week to discuss how to improve business in The Bahamas, boost the country's competitiveness and encourage entrepreneurs. Deltec Bank & Trust Ltd has donated $25,000 to the National Emergency Management Agency towards Hurricane Matthew relief and recovery efforts. Bahamas Minister of Tourism Obie Wilchcombe has been elected chair of the Caribbean Tourism Organizatio. The election took place last week in Barbados at the organization’s annual general meeting during the CTO’s State of the Tourism Industry Conference. Joy Jibrilu, The Bahamas' Director General of Tourism, was also named chairman of the CTO's board of directors. Last week was Caribbean Week in New York City and the Bahamas Ministry of Tourism held a number of musical and cultural events all over the city. Watch a report about the promotion here. Hilton Hotels & Resorts and Resorts World Bimini recently announced that Hilton at Resorts World Bimini has completed its second phase opening, introducing major enhancements to the hotel's accommodation, food & beverage, meetings & events and wellness offerings. Matthew Feshbach, co-founder of Okyanos Cell Therapy, will tell the story of founding, developing and launching the company’s purpose-built center at the upcoming Regenera Global Conference to be held in Freeport, Grand Bahama on June 23-25. During his opening speech at the recent UK Caribbean Forum in Grand Bahama, Prime Minister Perry Christie said that jurisdiction’s financial services sector was fully compliant and asked that the UK continued to support the sector on international matters. Watch a ZNS Network news report here. The Bahamas Financial Services Board's immediate priorities are education, compliance and immigration, according to its CEO Tanya McCartney, who laid out the organisation's key initiatives yesterday at a seminar hosted by the Bahamas Institute of Chartered Accountants. Michael Halkitis, Minister of State in the Ministry of Finance, has been elected chairman of the Board of Governors of the Inter-American Development Bank and the Inter-American Investment Corp.
Public Private Partnerships can help The Bahamas achieve its economic goals, set out in the country's National Development Plan, and foster better cooperation between the public and private sector according to Prime Minister Perry Christie. The world's best female golfers will compete at the Ocean Club Golf Course January 21-31 in the Pure Silk LPGA Classic. Watch a Tourism Today report about the lead-up to the event here. The annual Caribbean Hotel and Tourism Association (CHTA) Marketplace is under way in The Bahamas with Prime Minister Perry Christie underscoring the importance of the tourism sector to the socio-economic development of the Caribbean. The Bahamas recently hosted the renowned Hero World Challenge golf tournament at the Albany Resort on New Providence–one of many sporting events The Bahamas is bringing to the world. Watch a Tourism Today video about the event here. The Caribbean region was well represented at the EU-CELAC Summit 2015 in Brussels last week where over 500 delegates from Europe, Latin America and the Caribbean region convened under the theme “Promoting inclusive and sustainable growth by enhancing the role of small and medium sized enterprises”. The government is inviting feedback from the private sector as it continues in its efforts to draw up and implement a National Development Plan. Government leaders arrived in Nassau for the 26th Inter-sessional Meeting of the Conference of Heads of Government of the Caribbean Community, February 26-27, 2015. The International Business and Finance Summit was held on Grand Bahama last weekend. See some photos of the event here. Fort Charlotte has been transformed for the second annual Rum Bahamas Festival. The food, beverage and culture festival is to be held later this month. Watch a Tourism Today segment of the event here. Ryan Pinder announced yesterday that he is stepping down from his post as Minister of Financial Services with effect at the end of this year. The international tax lawyer will remain a member of Parliament and has accepted a position with the Deltec banking group. Watch a ZNS Network news report here. Prime Minister Perry Christie traveled to Havana, Cuba, December 7 to attend the 18th Special Meeting of the Conference of Heads of Government of the Caribbean Community. Global regulators are taking a more aggressive approach in the name of transparency and this will have wide reaching implications for international financial centres around the world, warned representatives from the Society of Trust and Estate Practitioners (STEP) Worldwide this week. The first Bahamas Diplomatic Week culminated with a state reception at Government House October 25, hosted by governor general Dame Marguerite Pindling. See photos of the event here. The Bahamas Financial Services Board (BFSB) is celebrating the 14th anniversary of its Industry Excellence Awards programme at a Gala Awards Dinner November 14. Here is the list of the nominees. As the government prepares for an evaluation from the Caribbean Financial Action Task Force next year, the public sector is working closely with the private sector to strengthen The Bahamas' anti-money laundering regime - identifying and resolving any vulnerabilities. More than 150 people attended the recent Bahamas Chamber of Commerce and Employers’ Confederation’s annual mix and mingle to meet Arnold Donald, president and CEO of Carnival Corp. Representatives of the Ministry of Financial Services and Investments and the Bahamas Financial Services Board arrived in China October 5 for the start of a 17-day, strategic business trip that will see the delegation visit Hong Kong, Shanghai and Beijing. The group is taking copies of The Bahamas Investor as a major promotional tool. While in New York City to address the 69th session of the United Nations General Assembly on climate change (pictured - left), Prime Minister Christie and First Lady Bernadette Christie attended a reception hosted by US President Barack Obama. Director General of the Ministry of Tourism Joy Jibrilu says that the upcoming US College Football tournament to be held in The Bahamas will generate extra revenue and publicity for The Bahamas. Watch an interview with Jibrilu here. ICON, the latest innovation in fund structures created by The Bahamas, was launched at the Bahamas Financial Services Board's Bahamas Landfall: Destination Brazil events in Rio de Janeiro and Sao Paolo. Popeyes Louisiana Kitchen has announced its title sponsorship of one of college football’s newest bowl games, the Bahamas Bowl. The Popeyes Bahamas Bowl will be played December 24, 2014 in Nassau, Bahamas at noon EST inside Thomas A Robinson National Stadium. The game will feature teams from Conference USA and the Mid-American Conference, and will be televised live on ESPN. Prime Minister Perry Christie led a high-level delegation to the opening of the new SLS Las Vegas hotel this week. SLS has recently partnered with the Baha Mar megaresort on Cable Beach in The Bahamas. Luxury retailer Breitling introduced a new $1,600 watch to its store offering last week. Watch an ZNS Network news interview with the Bay Street boutique's general manager Nick Simmons. The Ministry of Tourism supported the Junkanoo Summer Festival 2014, which was held during the weekends in July. See pictures of the event here. Grand Bahama has continued in its quest to become a leading maritime hub for the region with the addition of a state-of-the-art Svitzer training centre. Watch a ZNS Network news report here. The budget for the 2014/2015 fiscal year ending June 30, 2015, was passed in the House of Assembly last week, with 24 Members of Parliament from the governing side voting in favour, six "nays" from the opposition and seven absentees. The Inter-American Development Bank (IDB) is presenting the exhibition "FLOW: Economies of the Look and Creativity in Contemporary Art from the Caribbean" from June 9 to August 29, 2014, at the IDB Cultural Center Art Gallery in Washington, DC. Works by emerging Bahamian artist Omar Richardson will be included in the show. This year marks the 20th anniversary since the launch of the Atlantis Paradise Island megaresort in The Bahamas. In celebration, the resort is planning a year-long programme of events, promotions and offers, starting yesterday. The Ministry of Financial Services hopes to establish a "centre of excellence" in The Bahamas to help professionals in the sector hone their skills, as the country targets new markets and diversifies its product portfolio. The inaugural IAAF World Relays Bahamas 2014 was held last weekend at the Thomas A Robinson National Stadium on New Providence. See photos of the event here. Against a backdrop of increased regulation and a greater burden of compliance, building client relationships in the financial services market has become more difficult according to Kenneth Morgan, chief executive of law firm Rawlinson & Hunter. Fred Mitchell, Minister of Foreign Affairs of The Bahamas, and his counterparts were in the United Arab Emirates last week to discuss trade issues and preparations for Expo 2020. Prime Minister Perry Christie addressed attendees of the Annual Business Meeting of the University of the West Indies Council held in Nassau last week. Read the Prime Minister's full keynote speech here. Representatives from the Bahamas Financial Services Board and the Insurance Commission of The Bahamas will attend the annual Risk & Insurance Management Society Conference, which takes place in Denver, Colorado, April 27-30. Bahamian entrepreneurs need to be more proactive in seeing their businesses come to fruition and take advantage of access to funding and support networks, according to the Chairman of The Bahamas Entrepreneurial Venture Fund (BEVF). Stakeholders in the legal and financial services sectors are sponsoring The Bahamas Young Arbitrators event tomorrow at the British Colonial Hilton in Nassau. For more information download a PDF about the event here. International financial centres must target new markets, such as those in Latin America, if they are to survive in an increasingly regulated environment, says Bahamas Financial Services Board chief executive officer Aliya Allen. RBC Royal Bank held its 4th Annual RBC Client Appreciation & Invitational Golf Tournament March 25 at Ocean Club Golf Course, raising donations for The Bahamas Red Cross. The Bahamas Association of Compliance Officers is to host a seminar on the imminent US Foreign Account Tax Compliance Act. The Ministry of Tourism Grand Bahama island staged a weekend of culture and thanksgiving to celebrate the 50th anniversary of the Promotion of Tourism Act, under the theme: Grand Bahama island revitalized. The Bahamas received an open letter of endorsement and support from the United Nations World Tourism Organization as a regional leader in tourism. On the final day of the three-day International Stem Cell Society Conference in Freeport, Grand Bahama, Dr Glen Beneby contributed to a panel discussion on overcoming bias and strengthening research. Minister of Financial Services Ryan Pinder said recently that full membership and compliance in the World Trade Organization is necessary if Bahamian producers want to compete on an even field with other international producers. The recent Global Financial Summit held in Atlantis Paradise Island last week attracted international investors and financial experts. Watch a ZNS Network news report on the event here. In the first session of the recent International Business and Financial Summit, senior industry practitioners took a look at how jurisdictions round the world are adapting to an increased regulatory environment and what opportunities this presents for growth. During a break from the LPGA golf tournament held at Atlantis Paradise Island last week, professional golfer Emma Jandel took a tour of Grand Bahama. Watch a video of her trip here. Prime Minister Perry Christie was among 10 persons whose footprints were added to the International Civil Rights Walk of Fame last weekend. In its push to make The Bahamas a leading arbitration hub, the Ministry of Financial Services is taking a strategic approach by developing a strong domestic framework and playing to its strengths in niche industries. Bahamian golfer Georgette Rolle (pictured) is participating in the 2014 PureSilk-Bahamas LPGA Classic being held at the Ocean Club Golf Course on Paradise Island this week. Prime Minister Perry Christie says the government plans to continue to achieve fiscal prudence in 2014, while stimulating the economy to create thousands of new jobs. Watch a ZNS Network news report here. Members of the legal profession led by Chief Justice Sir Michael Barnett joined in worship at Christ Church Cathedral to mark the opening of the Legal Year January 8. Officially opening The Bahamas Speed Week Revival 2013 this week, the Deputy Prime Minister and Minister of Works and Urban Development announced that a new racetrack will be built at the Queen Elizabeth Sports Centre to facilitate the 60th Anniversary of the event in 2014. Ultrapetrol (Bahamas) Ltd (Nasdaq:ULTR), an industrial transportation company serving marine transportation needs in three markets (River Business, Offshore Supply Business, and Ocean Business), will host a luncheon for the investment community at midday December 9 in New York. Basketball fans will be able to catch standout freshman Andrew Wiggins and the second-ranked University of Kansas men's basketball team as they play Wake Forest in the Battle 4 Atlantis Men's College Basketball Tournament on AXS TV live from The Bahamas starting at 3:30 pm ET | 12:30 pm PT on Thanksgiving, November 28. Bahamian tennis star Mark Knowles says this year is the 13th anniversary of the charity event, with matches being played at Lyford Cay and Atlantis. Watch an interview with Knowles here. Innovation is key to The Bahamas' success in targetting emerging markets in Latin America, according to Bahamas Financial Services Board CEO Aliya Allen, who said the financial services sector would soon launch a new investment fund product to help it position itself as a leading hub for LatAm. The Bahamas Chamber of Commerce and Employers Confederation's newly formed Coalition for Responsible Taxation is taking a cautious approach to the government's proposed introduction of VAT, saying that it is a complex issue that needs careful consideration. Speaking at the Bahamas Financial Services Board (BFSB) Landfall event in Miami last week, Richard Keyworth (left), sales partner for Stella Maris Village on Long Island in The Bahamas, said investors should look at the jurisdiction's resurgent property market. The Bahamas Financial Services Board (BFSB) honoured financial services professionals for their contribution to the growth and development of the sector at a gala event held last Friday. Click the text link below to see a full size picture of the winners. MAC commissioner John Steinbrecher has announced the creation of the Bahamas Bowl, beginning next season in 2014. Watch a FanSided interview with commissioner Steinbrecher talking about the Bahamas Bowl here (bottom). Legendary race cars from all over the world are lining up to take part in the third annual Bahamas Speed Week Revival, which the Ministry of Tourism hopes will significantly boost the country's growing sports tourism niche. NBA's Miami Heat are in The Bahamas this week for a training camp. Watch a video about the visit here. The Association of International Banks and Trust Companies in The Bahamas’ 8th Annual Nassau Conference 2013 is scheduled to be held October 16 at the British Colonial Hilton. Carnival Cruise Lines is launching a new national advertising campaign this week that features the experiences of the cruise line's guests, as captured through their own lenses at destinations such as The Bahamas. The "Moments That Matter" campaign includes thousands of real vacation photos and videos from past Carnival cruisers, collected through social media. Good service is key to the continuing success of The Bahamas' tourism industry, say sector leaders. Pictured: Panelists included (from left) former Minister of State for Finance Zhivargo Laing; Vaughn Roberts, vice president of corporate finance and treasury at Baha Mar; former Minister of Tourism, Vincent Vanderpool-Wallace; and President and managing director of Atlantis, Paradise Island George Markantonis. The Bahamas must be flexible in order to strengthen its reputation as a leading financial centre and attract new business, according to Minister of Financial Services Ryan Pinder who said his Ministry will target new markets to build the country's brand. Registration is now open for the Caribbean Regional Compliance Association (CRCA) Conference to be held at The Westin Hotel, St Maarten, November 7-8, 2013. The focus of the CRCA Conference is to offer best practices for managing an organization’s overall anti-money laundering programme, tackle emerging compliance threats in the region, look at regulatory changes in a variety of Caribbean jurisdictions and focus on a wide range of topics as they relate to outsourcing, risk assessment, corruption and corporate social responsibility. The Organization for Economic Co-operation and Development secretary-general Angel Gurría presented a report to the G20 leaders in St Petersburg in Russia yesterday on proposals on how to tackle tax evasion. Bahamas Prime Minister Perry Christie spoke on the steps of the Lincoln Memorial in Washington DC August 28 to mark the 50th Anniversary of the March on Washington. Minister of Tourism Obie Wilchcombe and the new management team at the Ministry recently took a tour of the Baha Mar development on Cable Beach on New Providence. The 2013 International Pharmacy Conference, which was held at Atlantis Paradise Island and was attended by professionals from around 40 different countries, came to an end this week. Watch a ZNS Network news report here. Dignitaries attended a cornerstone laying ceremony for the LJM Maritime Academy on Maritime Cay, August 15, 2013. In his contribution to the House of Assembly this week, Minister of Financial Services Ryan Pinder said that the Bahamas government has agreed that the country shall achieve compliance under the United States Foreign Accounts Tax Compliance Act by negotiating and entering into a Model 1 Intergovernmental Agreement. Investment opportunities in The Bahamas were highlighted during a reception hosted by Ambassador Dr Elliston Rahming, permanent representative to the Organization of American States (OAS), at The Bahamas Embassy in Washington, DC, last week. See the photos after the jump. The Bahamas Financial Services Board's (BFSB) Landfall events are designed to provide financial service intermediaries and other service providers in targeted markets with updates on legislative and business developments in The Bahamas and to enable participating BFSB members to connect with potential business opportunities. The 2013 “landings” to date have included Brazil and London, with upcoming events scheduled for Miami and Canada in the fall. Senior Communications Manager at the Bahamas Tourism Office in Plantation, Florida, Anita Johnson Patty says the Resorts World International SuperFast ferry to Bimini has created "so much buzz" in the Florida tourism market and she expects the twice daily cruise between Miami and Bimini to transform the Family Island. Watch a clip of the interview here. The One Eleuthera Foundation is partnering with the Cancer Society of Eleuthera and Family Medicine Centre to host a landmark symposium next month that will bring together medical experts to discuss innovation and developments in the field of cancer research. The Bahamas celebrated 40 years of independence July 10 with a flag raising ceremony, fireworks and cultural performances at Clifford Park on New Providence. See photos of the event here. Royal Bank of Canada held a grand opening for its newest location on John F Kennedy Drive, Nassau, July 8. Almost exactly a year after it was set up, the Constitutional Committee has released its Review of The Bahamas Constitution ahead of the 40th Anniversary of Independence. Read the report here. Governor General Sir Arthur Foulkes was the keynote speaker at the National Pride Day celebrations July 5. See photos of the event here. Celebrity chef Todd English introduces his Olives restaurant to Atlantis Paradise Island, opening today. Journalist Syann Thompson discusses the importance of Bahamian arts and culture ahead of the country's 40th Anniversary of Independence this week. Watch the ZNS Network segment here. Inter-American Development Bank (IDB) president Luis Alberto Moreno was the keynote speaker at the Caribbean Growth Forum (CGF) held in Nassau June 24-25. Read his remarks here. Representatives of The Bahamas Chamber of Commerce and Employers Confederation attended the International Labour Conference in Geneva, Switzerland, earlier this month. International commercial banks with a presence in the Caribbean have been urged to be true partners to the government and people of the islands in which they operate. Bonita Morgan of the Caribbean Tourism Organization says that training in the hospitality industry could be extended beyond the tourism sector. Watch an interview with Morgan here. While wrapping up debate on the 2013/2014 Budget, Prime Minister Perry Christie explained that despite challenges, the country is now being positioned for great economic benefits. Watch a ZNS Network news report here. The Ministry of Tourism used "star power" to draw attention to its destination wedding product during recent promotional efforts at the Caribbean Week showcase in New York. Watch a report on the event here. On the second leg of its nationwide tour, the national flag commemorating the 40th Anniversary of Independence was raised on Deadman’s Cay, Long Island, June 11. Cloud Carib, an Offshore Cloud IaaS provider in the Caribbean region, assures clients that their data and hosted infrastructure resides offshore, under strict confidentiality laws. 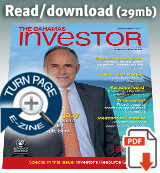 Etienne Dupuch Jr Publications is pleased to announce the release of the Spring & Summer 2019 issue of The Bahamas Investor magazine. A primary resource of business and finance news and information, the full-colour 132-page publication is essential reading for anyone looking to live, work or invest in The Bahamas. 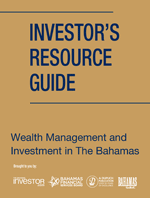 The 2019 Investor’s Resource Guide is an invaluable resource for private wealth management practitioners around the world covering tax planning issues, offshore wealth management structures such as IBCs, foundations and purpose trusts, setting up investment funds, and Bahamian business incentives.